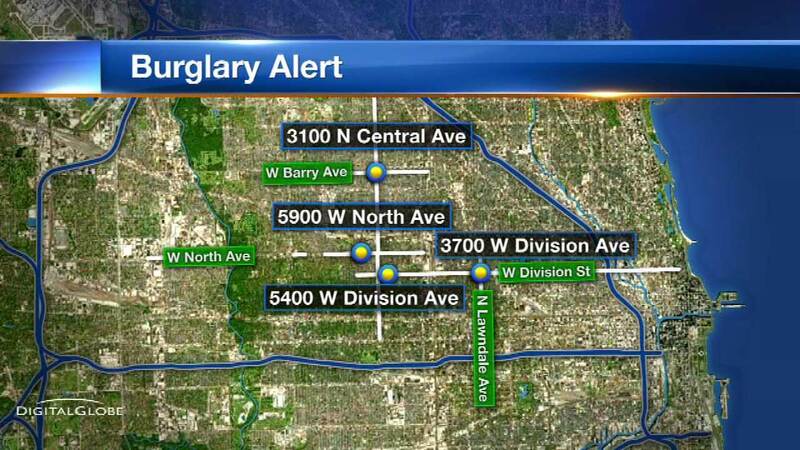 CHICAGO (WLS) -- Police say someone is stealing ATMs from stores on Chicago's West Side. In at least two cases, thieves pulled the electric meter from the back of the building to cut off video and alarm systems. Then they forced their way in. There have been five burglaries, most in the Austin neighborhood near North and Austin. The first break-in was in April. The latest was this week. At least one case involved two burglars, described as black men around age 40, and one person driving a getaway car - a gray or silver minivan.